Recover like a pro with HoMedics new Sports Recovery Massagers! I'm a runner, a mom of 4 and so much more and as so my body is constantly sore from all that it has to endure. When I was younger I never even thought about recovery after working out or running but now that I'm in my thirties, I probably think about it on a daily basis. When I use products that help me recover after running I notice that my bodies recovers much quicker and I'm able to get back out there sooner to do it again. Recovery is an important part of running and working out. I often wonder how much harder I could have pushed myself in my early twenties if I'd have spent a little more time recovering. 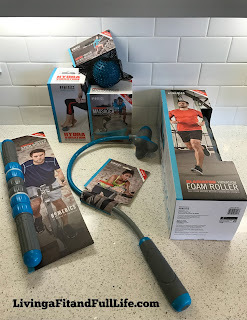 With the new Sports Recovery Massagers from HoMedics you can be sure to recover after your workouts so that you can do the best you can each and every time you workout. 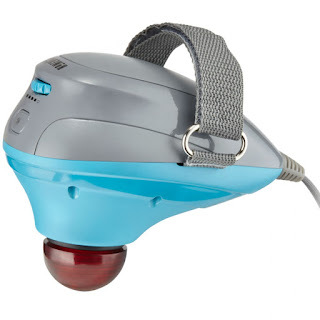 HoMedics Atlas™ Vibration Acu-Node Massager is amazing! It's small enough to fit in my purse so I can use it on my sore muscles while on the go or at the gym. I love that I can use this on all my muscles and really pinpoint and massage target areas for optimum healing. As a runner the Atlas™ Vibration Acu-Node Massager heals my achy tired legs better than anything I've tried in the past. It's a phenomenal little massager! 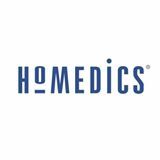 HoMedics Hydra™ Vibration Foot Massager is also another terrific product! I have bad feet! My mom and dad both do as well, so my genetics blessed me with the same. As a runner my feet ache after just about each and every run. 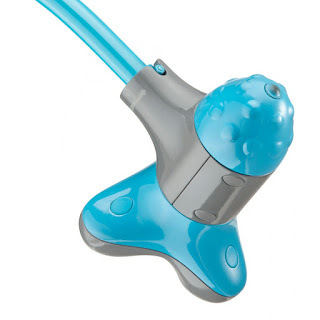 This Hydra™ Vibration Foot Massager feels like heaven after a run or in the evenings after the kiddos have gone to bed. Even my husband has begun to use it because he often has a lot of foot pain as well. 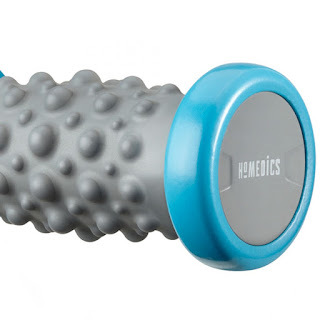 The Vertex™ Vibration Stick Roller by HoMedics is awesome! I love to use this on all the muscles in my thighs after running because it feels amazing. I've also noticed I'm incredibly less sore the next day than I normally would be with just stretching. 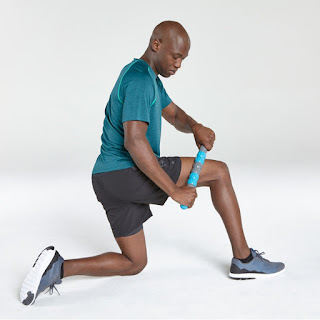 I do still recommend stretching but adding a few minutes with the Vertex™ Vibration Stick Roller has been amazing at soothing my tired muscles and has helped me continue to push myself the next day! Triumph™ Vibration Pinpoint Massager by HoMedics is my best friend! It can reach all the spots on my back that I can't. I love that I'm able to give myself a back massage with the Triumph™ Vibration Pinpoint Massager and really work out all the kinks in my back and neck. The vibration really helps to relax the muscles to allow optimum healing! 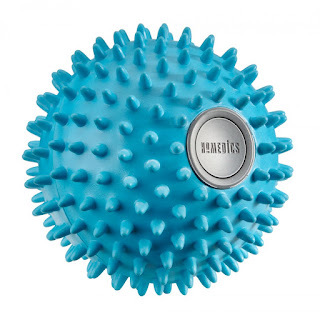 HoMedics Mercury™ Percussion Massager with Heat is a terrific massager. It's perfect at pinpointing tired achy muscles and the heat really helps to relax the muscles. The Mercury™ Percussion Massager with Heat includes three attachments for different target areas which really allows you to customize your massage to get the best massage possible. It's the perfect way to relax after a long run! 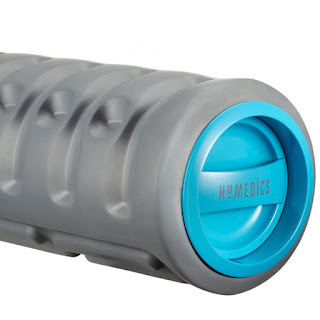 Gladiator™ Vibration Foam Roller by HoMedics has to be my favorite foam roller ever! I have a foam roller that I've been using for years but adding vibration really helps my muscles relax and I tend to have less soreness after my workouts when I use it. The Gladiator™ Vibration Foam Roller features three massage intensities to create a precision massage experience and really helps to loosen tight muscles. 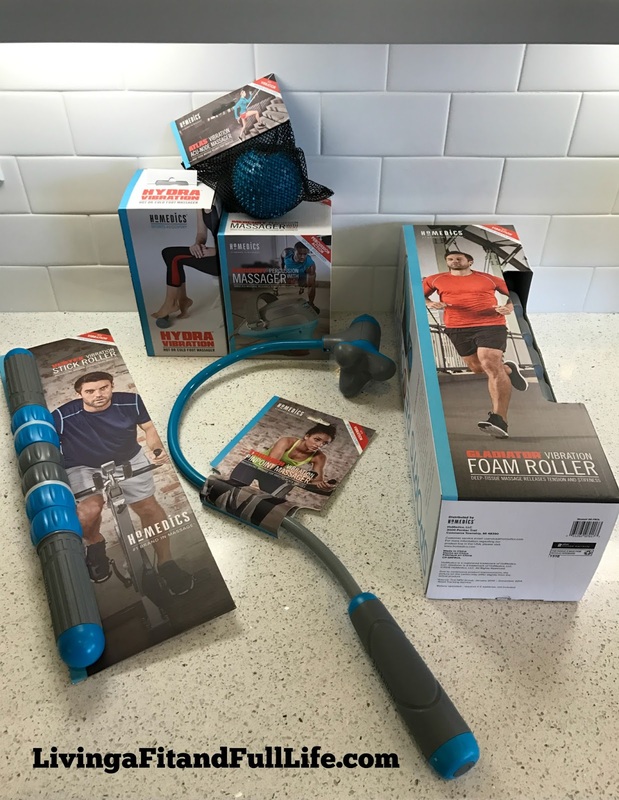 The Gladiator™ Vibration Foam Roller is an amazing product and as a runner I highly recommend it! The new Sports Recovery Massagers from HoMedics are absolutely amazing and do a terrific job to help keep me active!